It is verynearly allied to the Almond, and generally included in the same family. They are nursed in gardens and orchards, and need no further description. The flowers are to be made into a syrup by pouring a pint of boiling water on a pound of peach blossoms, to stand 24 hours, and then strained, and dissolve in it 2 pounds of sugar over the fire. It is a good syrup for children, and adults who have become debilitated. It is good against the jaundice, and worms. It is mildly aperient, and taken largely, it is a safe emetic. The powder strewed on fresh wounds arrests bleeding, and closes them up. The flowers made into a conserve, have the same effect. The liquor that drops from the tree, being wounded, is given in the decoction of Coltsfoot, for cough or shortness of breath, adding some sweet wine and saffron. It is good for hoarseness and loss of voice; it clears and strengthens the lungs, and relieves those who vomit and spit blood. The kernels of the stones effectually relieve both colic and the stone. Take fifty kernels of peach stones, and one hundred of the kernels of cherry stones, a handful of elder flowers, and three pints of muscadel; infuse for six days near the fire, after which distil, and take a wine-glassful occasionally. The oil drawn from the kernels, applied to the temples, procures sleep for the sick. The oil applied to the belly removes pains caused by colic. 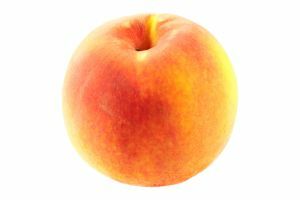 An infusion of the dried leaves of peach has been used for the expulsion of worms.